Associated Press= FONTANA, Calif. (AP) — In the foreclosure-battered inland stretches of California, local government officials desperate for change are weighing a controversial but inventive way to fix troubled mortgages: Condemn them. Typically, eminent domain has been used to clear property for infrastructure projects like highways, schools and sewage plants. But supporters say that giving help to struggling borrowers is also a legitimate use of eminent domain, because it's in the public interest. Under the proposal, a city or county would sign on as a client of Mortgage Resolution Partners, then condemn certain mortgages. The mortgages are typically owned by private investors like hedge funds and pension funds. Under eminent domain, the city or county would be required to pay those investors "fair value" for the seized mortgages. So Mortgage Resolution Partners would find private investors to fund that. Mortgage Resolution Partners will focus on mortgages where the borrowers are current on their payments but are "under water," meaning their mortgage costs more than the home is worth. After being condemned and seized, the mortgages would be rewritten based on the homes' current values. The borrowers would get to stay, but with cheaper monthly payments. The city or county would resell the loans to other private investors, so it could pay back the investors who funded the seizure and pay a flat fee to Mortgage Resolution Partners. The company says that overall, all parties will be happy. The homeowners, for obvious reasons. The cities, for stemming economic blight without using taxpayer bailouts. And even the investors whose mortgage investments are seized. Mortgage Resolution Partners figures they should be glad to unload a risky asset. Rick Rayl, an eminent domain lawyer in Irvine, Calif., who is not connected to the company, isn't so sure. "The lenders are going to be livid," he said. He thinks the plan could have unintended consequences, like discouraging banks and other lenders from making new mortgage loans in an area. But Robert Hockett, a Cornell University law professor who serves as an unpaid adviser to Mortgage Resolution Partners, was unsympathetic. He likes how the plan forces the hand of uncooperative investors, who have sometimes stifled plans to reduce mortgage payments. "It's kind of like saying a loan shark objects to anti-predatory lending laws," Hockett said. A man who lost his right arm and leg in a devastating explosion while supervising mine clearance in Mozambique is about to take on one of the world's toughest ultra marathons. Chris Moon, who suffered crippling injuries in 1995, flew out to the U.S. last night to take part in the 135 mile Badwater run in California. He will become the first amputee ever to attempt the race, which gets under way tomorrow. The gruelling event pits around 90 of the world's toughest athletes - runners, triathletes, adventure racers, and mountaineers - against one another and the elements. It sees runners head through Death Valley to Mt. Whitney in temperatures of up to 55C (130F). Mr Moon, 50, who was born in Wiltshire, but lives in Strathaven in Lanarkshire, has run the race before - in 53 hours - and wants to cut ten hours off his best time. 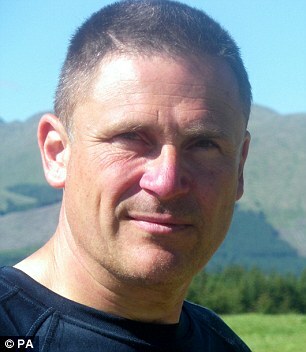 He is running to raise funds for a group of charities - including O2E, which helps disabled and disadvantaged children. 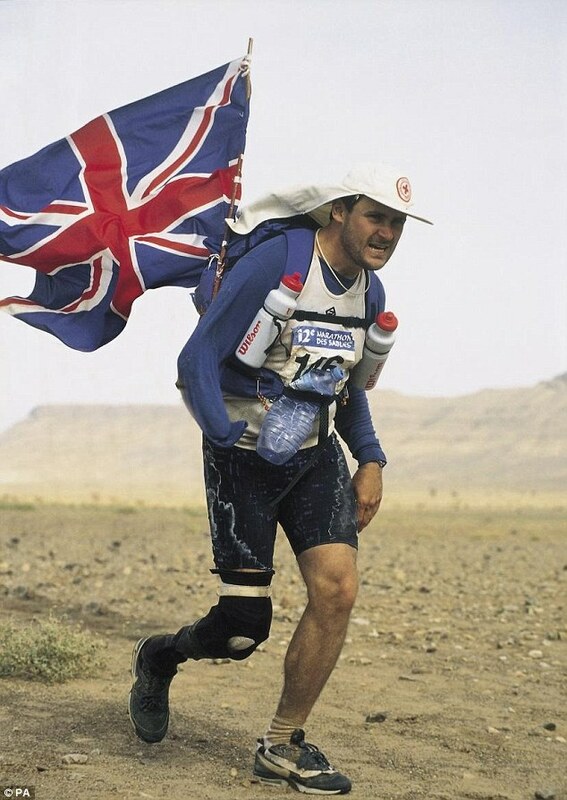 He has been running marathons, ultra-distance races and raising money for charity for the past 15 years - and is the first amputee to run a number of the world's toughest ultra marathons; beginning with the Marathon Des Sables in 1996. He said: ‘I want to challenge the concept of limitation. 'I want to overcome physical challenges and show that I have not been weakened by the unfortunate things that sometimes happen. 'I run further now than I ever did before I was blown up. ‘I have worked very hard and I want to keep going until I am in my 70s. 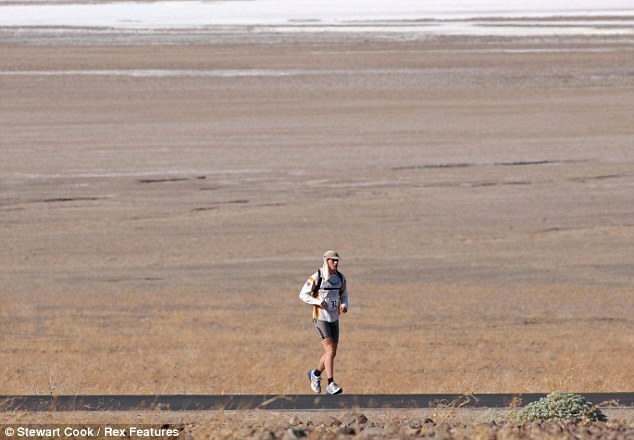 In September 2010 he became one of a handful of people to run more than a marathon a day for 30 days continuously, covering over 1,000 miles. Mr Moon said: ‘I am excited. I have done the training and I just want to get out there. ‘I am looking to take ten hours off my best time. I know more about running and artificial legs have got a lot better. DM Send this article to all Premier League Football clubs. Bless you - but please don't take too many risks. Well done to you - inspirational !